Description: Another angle of an older scene. It's really amazing how well he looks with that Stinger. Nice shot! Copperhead is a great figure, and is a great match for the Dreadnok Ground Assault. It's somewhat of a shame there wasn't another Copperhead repaint. I'm not really sure what could've been done, though using the torso and arms for a Roadblock update could've really done something interesting. I like to think that these two would somehow get along. This is a perfect pairing of vehicle & driver! 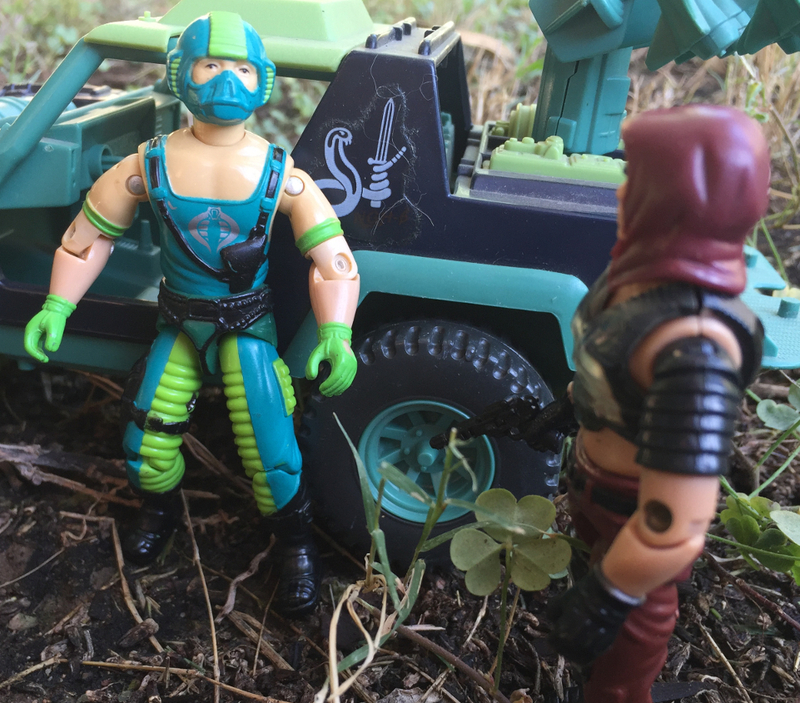 Did Hasbro know what they were doing here I wonder...Great scene Mike!